LM 35 temperature sensor IC is a IC chip production Natioanal Semiconductor which serves to determine the temperature of an object or space in the form of electric scale, or can also be defined as an electronic component that is used to change the temperature changes are accepted in the electrical wholesale changes. LM35 temperature sensor IC temperature change can change a change in voltage at the output. LM35 temperature sensor IC requires +5 volts DC source voltage and DC current consumption of 60 mA in operation. 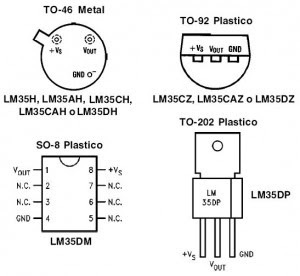 Physical form LM 35 temperature sensor is an IC chip with packaging that varies, in general packaging LM35 temperature sensor is packaged TO-92 as shown in the figure below. 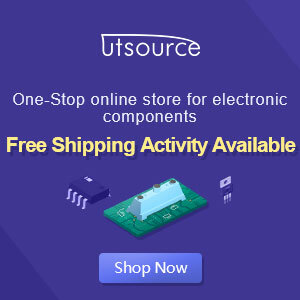 From the picture above it can be seen that the temperature sensor IC LM35 basically have 3 pin that serves as a source of supply voltage of +5 volts DC, as a result of sensing the output pin in the form of a change in the DC voltage and Vout pin to Ground. Temperature sensitivity, with linear scaling factor between voltage and temperature 10 mVolt / º C, so it can be calibrated directly in centigrade. Have the accuracy or the accuracy of the calibration is 0.5 º C at 25 º C.
Has a maximum operating temperature range between -55 º C to +150 º C. Working at a voltage of 4 to 30 volts. Has current low at less than 60 mA. Have a low self-heating (low-heating) of less than 0.1 º C in still air. Has a low output impedance is 0.1 W for 1 mA load. have Nonlinearities only about ± ¼ º C.